Kalsamrit Studios in Port Perry is proud to provide ladies only kicking boxing classes! We offer flexible class times to try to fit your schedule. 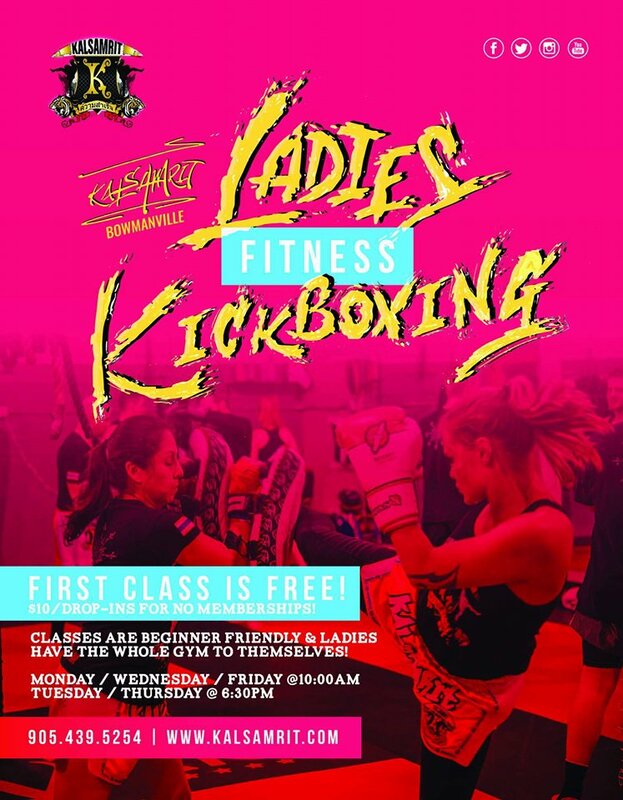 Our ladies kickboxing classes gives you a combination of strength and conditioning with kickboxing techniques to not only be able to defend yourself better but also blast away fat and build your muscle while having fun in a high energy class. Ladies kickboxing classes in Port Perry will not only help you look great, but will improve your strength and confidence in a friendly and supportive environment. Our kickboxing instructors are all great competitive athletes with lots of experience in the sport with hard work and dedication. In addition to ladies kickboxing, we also offer yoga, ladies only bootcamps, and Muay Thai classes. No experience necessary and your 1st class is free. Give us a try, you won’t regret it! One of our ladies program instructors, Michelle Spurs, showing what our programs can do for you.